Orange has announced it will be the first operator to offer new Touch watch phone LG G910 in Europe, which the company claims as the world’s first Touch watch phone. 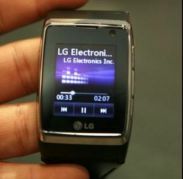 The watch phone with full touch screen UI will give customers a new experience in mobile communication. The LG G910 is stylish designed with high metal casing and a curve tempered glass face. Featured with camera and video recording, LG G910 is also integrated with MP3 player. In addition, it also comes with Bluetooth headset and offers 7.2 Mbps 3G HSDPA connectivity. With LG G910, the users will get the same multimedia experience as on normal mobile phone like play MP3, watch video clips and etc. The LG G910 watch phone is expected to be available from flagship stores across Orange’s European footprint later this year and the price is not yet specify.